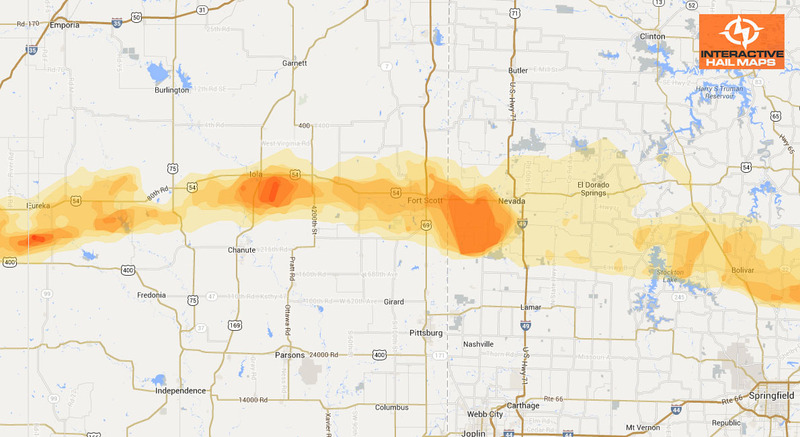 This map shows the hail that moved through Oklahoma City, Oklahoma on April 26th, 2013. (Click on the map for a larger view) This is the first of 3 separate hail storms that hit in and around Oklahoma City in 2013. The hail swaths are radar indicated with the largest hail displayed in darker shades of orange. 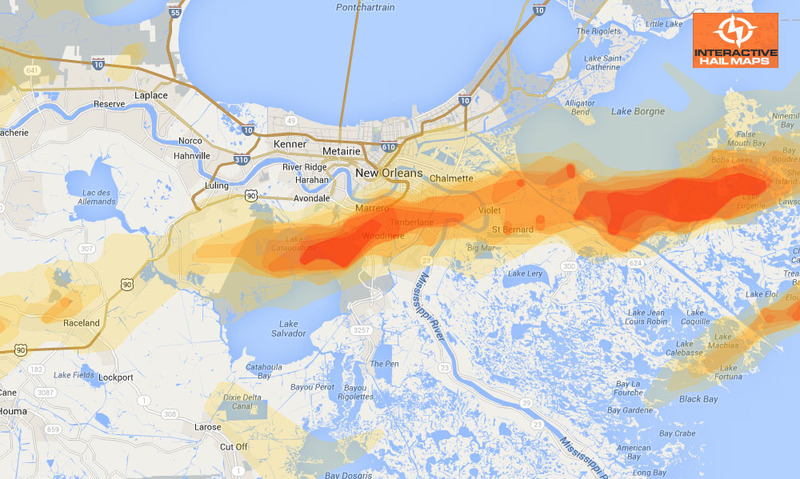 Use Interactive Hail Maps to zoom all the way to street level and pinpoint the exact neighborhoods affected. Hail history back to January 2011 and every map going forward for 12 months comes with your subscription. You can view the maps on your computer browser and with Hail Recon, the companion app. All maps are updated live. Check plans & pricing.